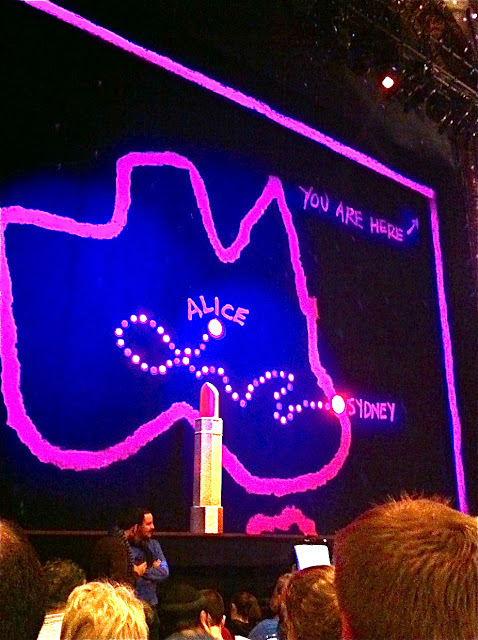 Following a successful debut engagement in Toronto, "Priscilla Queen of the Desert" hits Broadway and is now in previews. Earlier tonight, I caught a performance of the show at the Palace Theatre. Based on the 1994 Australian movie of the same name, the musical was wildly entertaining, hilarious, campy and flamboyantly gay, while trying to convey a message of greater appreciation for tolerance and family, in full drag. 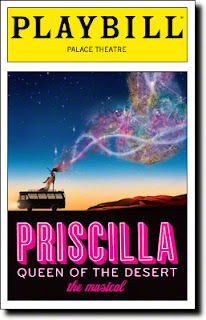 Featured in this musical are Olivier Award nominee TONY SHELDON as Bernadette, as well as the Tony Award winning WILL SWENSON and 'La Cage aux Folles' actor NICK ADAMS as three friends who climb aboard a battered old bus named "Priscilla" in search of love and friendship in the Australian outback. TONY SHELDON and WILL SWENSON were charming, and the delightful NICK ADAMS is perfect for his role as Felicia, the young, muscular and feisty drag queen newbie. This is Mr. Adams' biggest role on Broadway to date. The performances of the lead characters, as well as the divas were all fantastic, and the catalogue of songs made the show a crowd pleaser. And then there were the wonderful and outlandish costumes by TIM CHAPPEL and LIZZIE GARDINER, and the clever, high-tech way the bus was painted. The musical is written by STEPHAN ELLIOT and ALLAN SCOTT and the score features all of the existing dance-floor favorites synonymous with the production including "It's Raining Men", "I Say A Little Prayer", "I Will Survive" as well as Madonna songs like "Material Girl" and "Like A Prayer." Among the numerous producers of the Broadway version is entertainer BETTE MIDLER.